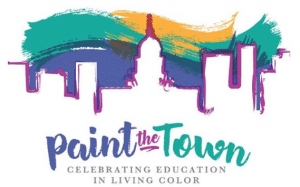 Jim Strawn & Company is proud to support the Mountaineer Montessori School’s PAINT THE TOWN fundraiser, benefiting their teacher appreciation, specialty programming and financial aid funds. For 40 years, Mountaineer Montessori School has brought learning to life, offering a hands-on, real world, world-class education that inspires children to discover and become who they were meant to be. At MMS, they are creating the next generation of innovators, problem-solvers and engaged citizens, equipped with a love of learning, self-confidence and responsible leadership to meet the challenges of a changing world. On May 20, 2017, MMS will celebrate their colorful tradition of education in living color and honor three special teachers and guest artists who have enriched our students’ educational experience through integrated arts programming for a combined 75 years: Barrie L Kaufman Nancy Johnston and Charly Hamilton. Individual reservations start at $75 per person and include a tax-deductible contribution to MMS. Your reservation includes admission to the brightest party of the year, live music, beer/wine and hors d’oeuvres, creative entertainment…. and affirms your support of their mission, faculty and students. MMS will maintain a guest list and no individual tickets will be mailed. Because it’s important for their entire school community to join in the celebration, a limited number of free and reduced price reservations will be available. For more information, please contact MMS Director Jennifer Carriger, jcarriger@mountaineermontessori.org. Your sponsorship dollars support this important community-building effort. Please join us for the brightest night of the year!